One Million Electric Vehicles by 2015? It’s difficult to say how likely such an arbitrary goal might be, but green leaders and others are optimistic. The waiting list for the new electric Nissan Leaf, rolling off the factory floor as we speak, is some 20,000 Americans long. The auto industry expects similar demand for other new electric and plug-in hybrid cars hitting U.S. roads this year and next from General Motors, Ford, Toyota, Mitsubishi and others. Of course, the Obama administration realizes that attaining such a goal will be impossible without help from the federal government. To that end, consumers and businesses can get tax credits worth up to $7,500 on the purchase of each new electric vehicle (EV). 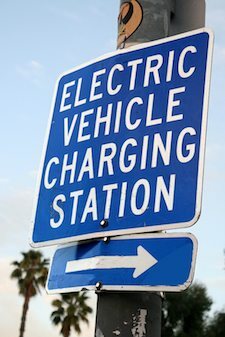 The feds have also committed $2.4 billion for research and development into improving EV batteries, and another $115 million for the installation of EV charging infrastructure in 16 different metro areas around the country—not to mention some $300 million in clean cities grants to dozens of American communities working to reduce petroleum use, and the $25 billion being doled out to help U.S. automakers retool. So much federal involvement has helped spur state governments and private industry to make significant investments in the EV sector as well. But even with all this funding, a million EVs on the road by 2015 may still be just a pipe dream. James Sweeney of Stanford University’s Precourt Energy Efficiency Center calls the plan “very aggressive.” He reasons that it took over a decade for hybrids—which “did not require any difference in infrastructure and had as great a range as conventional vehicles, neither of which is likely to be the case with electric vehicles”—to capture three percent of the U.S. passenger car and light truck market. EVs would have to achieve the same market share in just four years if Obama’s goal is to be realized. “Even with a large subsidy, it would be very hard to move to such a large market share that quickly,” Sweeney concludes. The Electrification Coalition, an organization of pro-EV business leaders from companies including Nissan, Federal Express, Coda Automotive and Coulomb Technologies, would take issue with that conclusion, however. The group’s November 2009 study, dubbed the Electrification Roadmap, predicted that as many as 14 million EVs could be on American roads by 2020 if lawmakers create “electrification ecosystems” in several major U.S. cities simultaneously. If the group is anywhere near the mark, reaching Obama’s goal of a million EVs by 2015 should be a no-brainer. The group also says that EVs could account for as many as 75 percent of all miles driven by light duty vehicles in the U.S. by 2040.